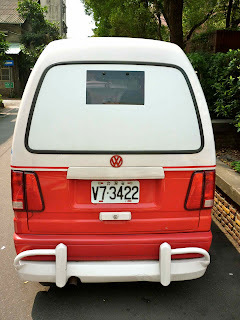 When I spent seven hours wandering the streets of Taipei, I came across this oddity. 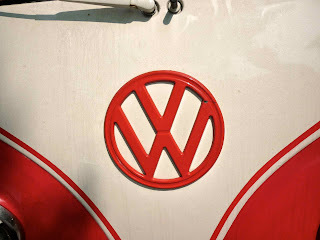 Don't let the badges fool you, the only VW-related part on this tiny transporter is the VW emblem up front. 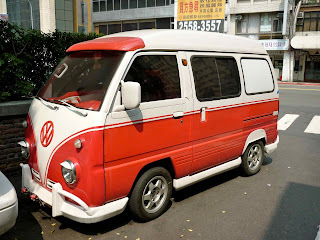 Really nothing more than a Japanese Kei-class van that's undergone a nose-job and a re-spray to emulate the look of the first-generation of VW vans (aka the T1 Transporter). One nice detail are the bumper overriders. Too bad the taillights are completely modern in style. But whatever, if it makes the owner happy, I'm cool with that. It certainly stands out in Taiwan's sea of bland cars. Thats Sambar...with an "m". And they are by far the preferred choice for doing these from what I've seen. 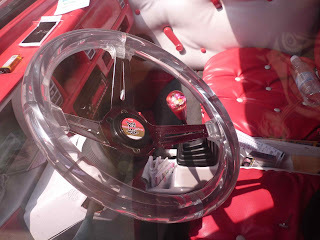 What is unique is the LHD steering setup. 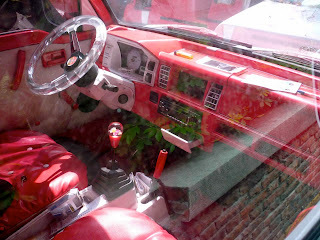 The Subarus are the only true rear engined kei truck. The Honda has a mid rear (just ahead of the axle) setup and all the rest use a front engine. A lot of used kei trucks and vans get shipped to the Philippines and get converted to LHD...perhaps a similar thing is happening in Taiwan? I haven't seen any Sambars before in Taiwan so I don't think is was sold in Taiwan new. 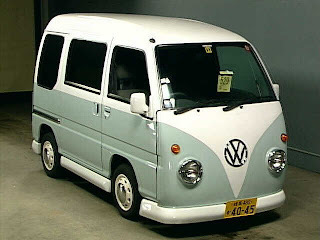 This would also be a 1990-1998 model van, BTW. Thus ending our kei truck lesson for the day.